As a self-clinching fastener, the tapered guide pin is a good choice for many applications. These self-clinching pins provide a strong flush-head assembly in materials as thin as .040” (1mm). They also provide high push-out resistance making them an ideal choice in applications where push-out strength is a primary consideration. JHP Fasteners offers these industrial fasteners in a variety of sizes and at very competitive pricing. Material: 300 series stainless steel. Finish: Per passivated ASTM A380. 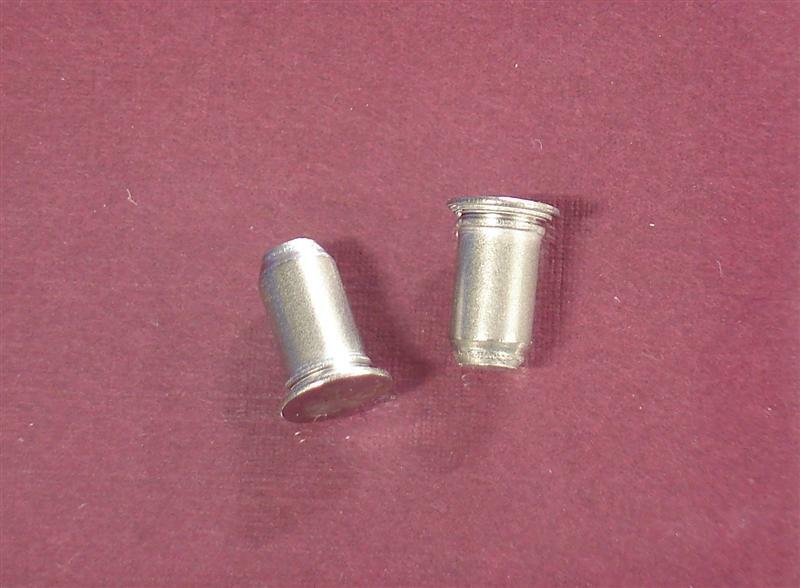 Available pin diameters: Inches: Available in .125, .187, and .250. Metric: Available in 3mm, 4mm, 5mm, and 6mm. The self-clinching tapered guide pin may be used in materials as thin as .040” (1mm). When properly inserted, the pin’s head will be flush with its surrounding material. The tapered end of the pin allows for easy location of the mating hole in a variety of alignment and pivot applications. Depending on the diameter of the pin being used, in combination with the type (and hardness) of the sheet material, the self-clinching tapered guide pin will provide push-out performance of between 145 pounds and 495 pounds. The required installation force would range between 4500 pounds and 9000 pounds. The self-clinching tapered guide pin has many practical applications as an effective industrial fastener. JHP Fasteners can provide you with expert guidance on how to select the appropriate self-clinching pin for your specific requirement. We will eliminate any guess-work from that process. Our professional staff looks forward to hearing from you!